From coffee makers, espresso machines to coffee shops and cafes- you can find it here. You want to know more about coffee makers to find that best coffee brewer? You are in the right place. It doesn't matter if you are buying or renting for office, home, cafe, coffee shops -you can find it here! With thousands of reviews on single serve coffee, espresso machines, filter coffee, cold coffeemakers, Neapolitan coffee pot, Turkish filter coffee and even table vending machine, there is one that can provide the help you need to find that machine. Together with insightful coffee maker reviews on brands such as Delonghi, Bunn, Keurig, Capresso, Cuisinart, Braun, Krups, Hamilton Beach and many other brands, we know you would be able to find what you need. You noticed that the whole site is filled with free information and free stuff (our services take up only a tiny portion of this site). This is because we believe in Free-economics, giving to win trust and building a win-win relationship. Below, we would segment our huge arsenals of articles and reviews to better assist you in finding the information you need. Grouped here are articles that are the most popular, the most visited. Check them out and you should probably be able to find what you are looking for. Needless to say, the "free section" are the most visited. Free coffee and Free coffee course are always the most visited. Then, there is the Best coffee makers page that would show you how to evaluate each coffee machine with our 4 Ps to find that machine that fit your lifestyle. More than 50% of coffee drinkers consume espresso, so a section on espresso maker is there to would highlight some elements that these folks should looking when shopping for their espresso makers and cappuccino maker. Our gourmet coffee makers section is about coffee brewers that are not so common, some of the more interesting machine are toddy cold brew and Miele coffee machine. Single serve coffee maker is a growing segment and here you would learn about the closed system like nespresso, keurig, Tassimo and open system like Melitta, Senseo and many more of these one button espresso machine. Single serve coffee is not complete without the coffee pods, T-disc, K-cups or whatever name the companies is calling its coffee refills. This section comprises of articles that are frequented by coffee lovers, people who are really into coffee. Folks that want to do more than just brewing coffee. So, you would be glad to know that we have a home coffee roaster section that teaches you how how to roast coffee at home. After getting the your coffee blend, the next thing is to grind it, and you would learn how to choose a coffee grinder in our coffee grinders. Personally, we know that while the bulk of our coffee are brewed by coffee machines, we cannot deny the fact that many of us would get our daily dosage of caffeine from coffee vending machines in our office, so here are some information about them. Nobody really use vacuum coffee maker these days, but many folks find these coffee brewers a very charming piece of appliance and have done a lot research on them as well. They do play a part in the coffee maker history after all. This site would not be complete without a coffee maker reviews section. But, we find most reviews so common and so "me too" so we did the review differently. Good coffee we believe is more important than good machine, don't you agree? After saying so much, we also look forward to hearing from you, your own personal coffee story. So, how about doing giving some coffee maker ratings to us and earn yourself some free gifts? Well, with more than 1000 articles on coffee makers and its related appliances, we know that our best coffee maker search would definitely find you the review on your coffee questions. Then, to make it real easy for you, we categorized the coffee machines from A to Z. We split it into 2 sections, the first section is about coffee machines from A to K while the second coffee machines runs from L to Z. This way, once you know the brand of filter coffee machines or cappuccino makers, you should be able to find it there. You should be able to find just about any types of coffee makers there, if not, we even have a function that allows you to add in those not represented and of course we have some freebies for your effort as well! This is the section to make life simpler for the complicated world of espresso coffee! Who knows the difference between a Americano from a cappuccino or the special thing about latte? Well, you can learn about it here. Talk about cappuccino machine being complicated, their drinks are already so confusing! a. The easiest way to know about all the freebies, downloads and discounts is to sign up with coffeelogy -our exclusive ezine. The training and workshops here are all targeted towards the Food and Beverage Industry. They are either WSQ classes or Skillfuture series. We work with institutions such as Temasek Polytechnic, ITE East College. Starting a coffee shop business in Singapore might not be cheap, but renting espresso machine in Singapore is definitely cheap -why, for less only $6.70, you can get one! Free coffee and coffee machine! This is an offer for free coffee and coffee machine to be placed for one whole month in your office in Singapore! No obligations, simply a goodwill gesture for you to try out the coffee. It is possible to get free coffee machine and free coffee? It is, and this is the place where you can find them! Best coffee makers are what coffee drinkers are always looking for. Here, let us show you how to find the machine to get your best cuppa! 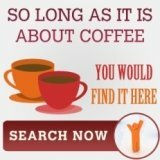 Coffee maker reviews that find and talks about everything that you would want to know that is about great coffee experience! 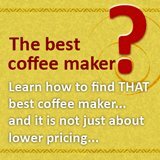 What coffee maker ratings or coffee maker reviews is "truer" than the story of people using it? Keurig coffee maker is right, just right for you. Bunn coffee makers are the most popular make of coffee makers that are purchased, have you ever wonder why? Read how capresso coffee machine make it as my best drip coffee by giving better temperature, freshness and safety. Krups coffee maker, single and all? Melitta coffee maker has a model that retails at $3, would you be interested? We all know that mr coffee coffee maker is good, here we showcase the fttx 95 which would exceed your expectations! We all know that saeco coffee maker is a good brewer, but do you know why it is so good? Gourmet coffee makers is really a whole package. 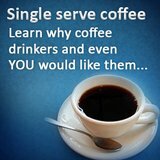 Learn the 4 M's, get the machines you need and enjoy the coffee by the gourmet maker-YOU! 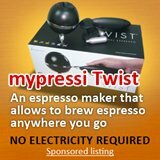 Cappuccino maker -what is the difference between this and espresso maker? Single serve coffee maker combines the technology of the super automatic espresso machines with the convenience of single cup coffee everytime. Vacuum coffee maker although 'old school' in the world of coffee makers, it brings with it a charm of theatrics everytime we use it. Do you know that drip coffee maker popularity has nothing to do with its coffee, but was due to a baseball legend? Anyone that drinks coffee would heard of percolator coffee maker, however, they are like vacuum coffee maker, part of the coffee history. Cold brew coffee ability to be stored in fridge for later consumption and its healthier offering of low acid coffee are two elements that are driving the demand for it. Well-maintained coffee pot produce excellent coffee, an aspect that is not known by many. When it comes to good coffee, coffee filters would not be top of the list as an essential tools in coffee makers. Think of it this way, they are the gateway between the grounds and your finished brew. Gourmet coffee pods, can we buy? Gourmet coffee pods can be "pirated", i.e. not using senseo pods for Senseo machine, by making our own. So, should we still buy? Home coffee roaster variety is dazzling. See how to do it yourself, even without making any purchase. coffee grinders are as (if not more) important than coffee makers, as different brew requires different grind, so the grind directly affects the coffee you want! Coffee vending machines has long been associated with cheap and lower end coffee. Actually, these commercial coffee machines are using technology to avail good coffee to us conveniently. Sure, getting coffee maker parts might save you some money, but with all the effort, it is worth the savings? This is a side of coffee machines which you might not have thought of before, some interesting coffee makers you would not have heard of before. When buying coffee pods, there would always be the thought if pods are better than the newer K-cups and T-disc. Read on to find out the pods advantage over K-cups and T-disc.